Reigning UFC Light Heavyweight Champion Daniel “D.C.” Cormier captured his second UFC title on July 7th at UFC 226 in Las Vegas, Nevada. 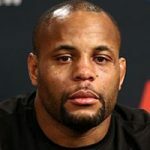 Cormier knocked out former titleholder Stipe Miocic to become UFC Heavyweight Champion and the top-ranked heavyweight in the sport today. Aso at heavyweight, Derrick “The Black Beast” Lewis and former champ Junior “Cigano” dos Santos earned key UFC victories in July. Liz “Girl-Rilla” Carmouche upset former top-ranked flyweight Jennifer Maia, and Katlyn “Blonde Fighter” Chookagian defeated Alexis “Ally-Gator” Davis.